Nucleic acid amplification is a valuable molecular tool not only in basic research but also in application oriented fields, such as clinical medicine development, infectious diseases diagnosis, gene cloning and industrial quality control. 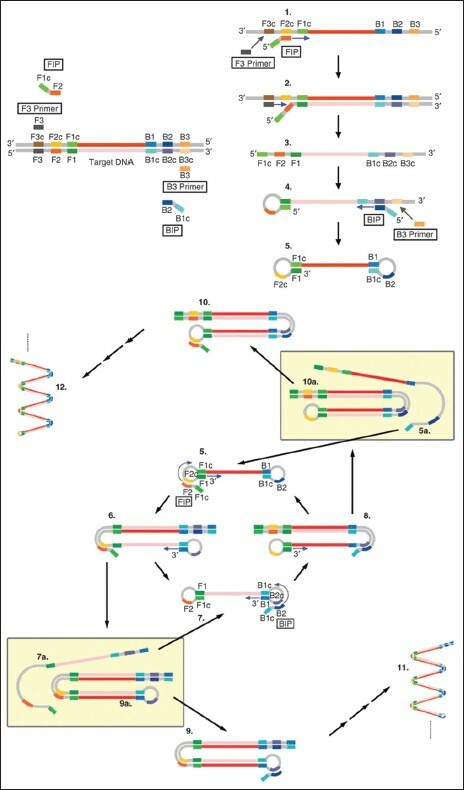 A comperehensive review of the literature on the principles, applications, challenges and prospects of different alternative methods of polymerase chain reaction (PCR) was performed. PCR was the first nucleic acid amplification method. With the advancement of research, a no of alternative nucleic acid amplification methods has been developed such as loop mediated isothermal amplification, nucleic acid sequence based amplification, strand displacement amplification, multiple displacement amplification. Most of the alternative methods are isothermal obviating the need for thermal cyclers. Though principles of most of the alternate methods are relatively complex than that of PCR, they offer better applicability and sensitivity in cases where PCR has limitations. Most of the alternate methods still have to prove themselves through extensive validation studies and are not available in commercial form; they pose the potentiality to be used as replacements of PCR. Continuous research is going on in different parts of the world to make these methods viable technically and economically. Moxonidine is the newest, second-generation, centrally acting antihypertensive agent. It has selective agonist activity at imidazoline I1 receptors and less adverse effects than the other centrally acting drugs. This fact authorizes the frequent use of moxonidine in clinical practice, as monotherapy or in combination with other antihypertensive agents. Also, moxonidine has beneficial effects in obese and metabolic syndrome and in target-organs, such as heart and kidneys. Background: The use of anti-histaminic agents has been increased significantly from last decades and till now no method is available for quantitation of ALZ in human plasma which can be applied in a bioequivalence study using LC-MS/MS. Objective: The present study is concerned with the development and validation of ALZ in human plasma by high performance liquid chromatography tandem mass spectrometry (HPLC-MS/MS). Materials and Methods: Sample preparation involved the extraction with liquid-liquid extraction method by using ethyl acetate as an organic solvent. Chromatographic separation was performed on Atlantis; T3 5 ΅m 4.6 mm Χ 150 mm column with the mobile phase consisting of acetonitrile: (10 mm ammonium formate buffer: Formic acid: 99.9:00.1 v/v) 50:50 v/v. The interface used with the application programming interface 4000 LC-MS/MS was a turbo ion spray in which positive ions were measured in multiple reaction monitoring mode. The precursor to product ions transition of m/z 299.30 → 100.20 amu and 305.30 → 106.30 amu were used for ALZ and ALZ D6 respectively. Results: The method was validated over the concentration range of 20.013-10006.551 pg/mL. The mean percent recovery of ALZ was found 77.771% with a precision of 7.71% and the lower limit of quantification was 20.013 pg/mL. The intra- and inter-day precision of the method at three concentrations was 0.98-4.50% and 1.57-5.72% while the intra- and inter-day % accuracy was 99.02-93.82% and 101.78-106.96%. Stability of compounds was established in a series of stability studies. The application of this method was demonstrated in the bioequivalence study and was found suitable in a study of sample size as big as 30 enrolled volunteers. Conclusion: For the very first time, a sensitive, selective and robust Liquid Chromatography- Mass Spectrometry method for the determination of alimemazine (ALZ) in human plasma has been developed and validated using ALZ D6 as an internal standard. Background: The in vitro antibacterial activity of resin rich methanolic extracts (RRMEs) of Commiphora myrrha, Operculina turpethum, and Pinus roxburghii. Materials and Methods: Different concentration were studied by agar-well diffusion method against Gram-positive (Staphylococcus aureus, Bacillus subtilis, Micrococcus luteus, Enterococcus faecalis) and Gram-negative bacterial strains (Escherichia coli, Pseudomonas aeruginosa, Salmonella typhi, Shigella dysenteriae). Results: Among all the bacterial strains tested, E. faecalis was most sensitive and S. typhi was resistant to C. myrrha and P. roxburghii. 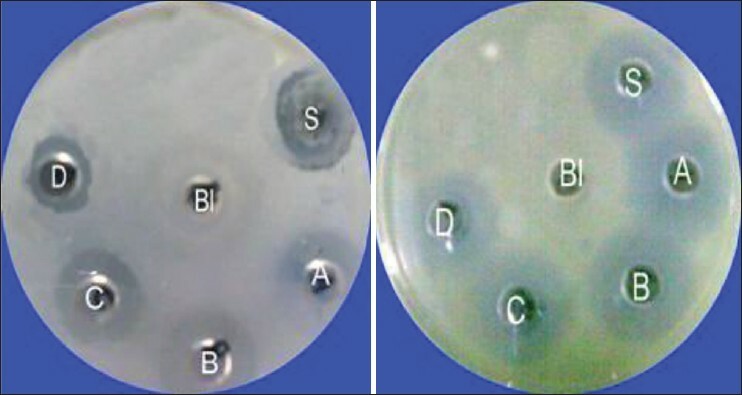 The extracts of O. turpethum were active against all tested strains in which B. subtilis and S. aureus were the most sensitive. Conclusion: This suggested that the antibacterial activity of RRMEs of O. turpethum was more than C. myrrha and P. roxburghii. This probably explains the potential of these plants against a number of infections caused by bacterial strains tested. Introduction: Consumption of highly processed calories dense diet leads abrupt increase in postprandial blood glucose level, which in turn induces immediate oxidative stress. Postprandial hyperglycemia (PPHG) and resultant oxidative stress is one of the earliest detectable abnormalities in diabetes prone individuals, independent risk factor for development of cardiovascular disorders (CVD), a major pathophysiological link between diabetes and CVD and an important contributing factor in atherogenesis even in non-diabetic individuals. Therefore, dietary supplements mitigating PPHG spikes along with potent antioxidant activities may help decrease development of PPHG and oxidative stress induced pathogenesis. Objectives: The study evaluated free radicals scavenging, antioxidant properties and intestinal α-glucosidase inhibitory activity in methanol extract of two varieties of Cicer arietinum Linn viz. Bengal gram and Kabuli chana and green gram (Vigna radiata Linn. Wilczek) raw grains and their sprouts and studied their influence on starch-induced postprandial glycemic excursion in rats. Materials and Methods: Healthy grains were procured from local markets. Free radicals scavenging antioxidant and glucose-induced hemoglobin (Hb)-glycation inhibition activities were analyzed using standard in vitro procedures. In vitro antihyperglycemic activity was evaluated by assessing rat intestinal α-glucosidase inhibitory activity. Influence on starch-induced postprandial glycemic excursion in rats was studied by pre-treatment of rats with extracts. Results: Compared with raw seeds increase in total polyphenol and flavonoids concentration in green gram sprouts and Kabuli chana sprouts (KCs) were observed. 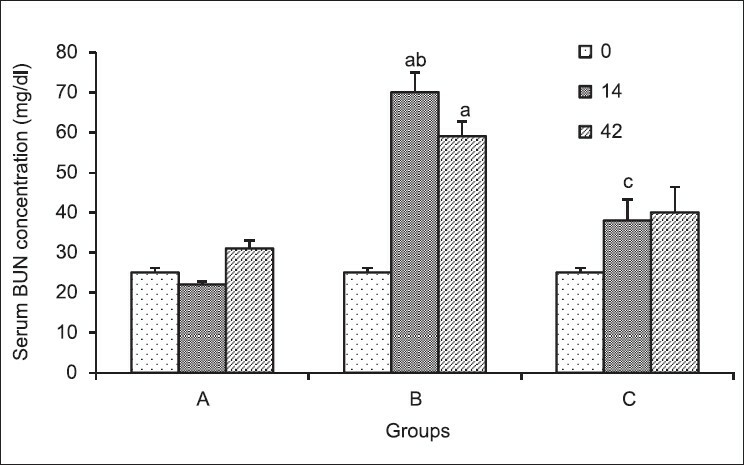 Total protein concentrations in sprouts did not differ from non-sprouted grains. 2,2'- Azinobis (3-ethyl benzthiazoline-6-sulphonic acid) cation scavenging activity was more than twice in Bengal gram sprouts of (BGs) and KCs than their raw seeds. 2,2-diphenyl-1-picrylhydrazyl, hydrogen peroxide scavenging, nitro blue tetrazolium reducing and glucose-induced Hb-glycation inhibitory activity did not differ from non-sprouted raw grains. Increase in rat intestinal α-glucosidase inhibitory activity was observed in BGs and KCs. BGs significantly mitigated 1 st 30 min starch-induced postprandial glycemic excursions and reduced 2 h postprandial glycemic load. Conclusion: Sprouting leads dynamic changes in free radicals scavenging potentials and antioxidant activities in grains. Consumption of seeds as well as BGs before the starch-rich meal can significantly mitigate 1 st 30 min postprandial glycemic excursion and reduce 2 h postprandial glycemic burden. Introduction: A practical synthesis of pyrimidinone would be very helpful for chemists because pyrimidinone is found in many bioactive natural products and exhibits a wide range of biological properties. The biological significance of pyrimidine derivatives has led us to the synthesis of substituted pyrimidine. 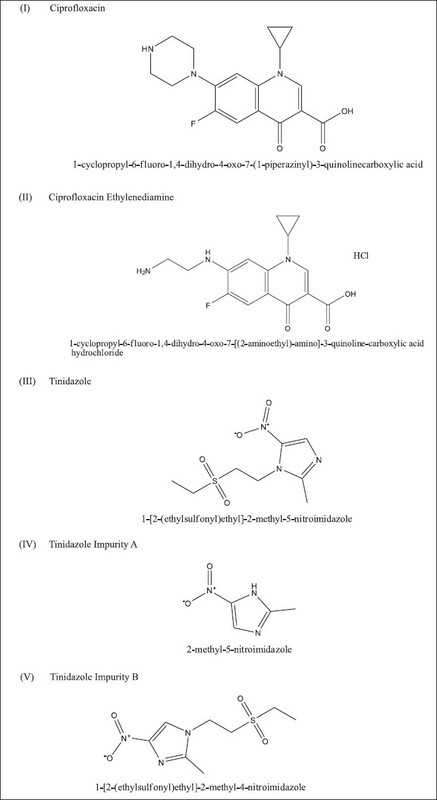 Materials and Methods: With the aim of developing potential antimicrobials, new series of 5-cyano-6-oxo-1,6-dihydro-pyrimidine derivatives namely 2-(5-cyano-6-oxo-4-substituted (aryl)-1,6-dihydropyrimidin-2-ylthio)-N-substituted (phenyl) acetamide (C1-C41) were synthesized and characterized by Fourier transform infrared spectroscopy (FTIR), mass analysis, and proton nuclear magnetic resonance ( 1 H NMR). All the compounds were screened for their antifungal activity against Candida albicans (MTCC, 227). Results and Discussion: Quantitative structure activity relationship (QSAR) studies of a series of 1,6-dihydro-pyrimidine were carried out to study various structural requirements for fungal inhibition. Various lipophilic, electronic, geometric, and spatial descriptors were correlated with antifungal activity using genetic function approximation. Developed models were found predictive as indicated by their square of predictive regression values (r 2pred ) and their internal and external cross-validation. Study reveals that CHI_3_C, Molecular_SurfaceArea, and Jurs_DPSA_1 contributed significantly to the activity along with some electronic, geometric, and quantum mechanical descriptors. Conclusion: A careful analysis of the antifungal activity data of synthesized compounds revealed that electron withdrawing substitution on N-phenyl acetamide ring of 1,6-dihydropyrimidine moiety possess good activity. Background: Nanotechnology plays a remarkable role in the field of the treatment of Lymphomas associated with tumor. Objective: The purpose of this study is to determine and to compare the tumor uptake, biodistribution and pharmacokinetics of radiolabeled etoposide and etoposide loaded nanoparticles in Dalton's Lymphoma tumor bearing mice and healthy mice. Materials and Methods: Etoposide loaded nanoparticles were prepared by nanoprecipitation technique using the poly (lactic-co-glycolic) acid (PLGA) in the presence of Pluronic F 68 (F 68) as a stabilizer and characterized by particle size analyzer, zeta potential and transmission electron microscope. Etoposide and etoposide loaded nanoparticles were labeled with Technetium-99m (Tc-99m) by the direct method and various quality control tests were carried out. The labeling parameters like labeling efficiency, stability, etc., were optimized to get high labeling efficiency as well as stability of the labeled formulations. Tc-99m labeled formulations were administered intravenously in Balb C mice and their biodistribution and pharmacokinetics were determined. Results: Mean size of the etoposide loaded PLGA nanoparticles was found to be 105.1 nm. The concentration of both free etoposide and nanoparticles increased with time and showed higher tumor concentrations of both free etoposide and nanoparticles increased with time and showed higher retention, indicating their applicability in effective and prolonged tumor therapy. Nuclear scintigraphic images confirm the presence of labeled complexes at the site of tumor for 24 h at higher concentration than in the normal muscles. Conclusion: This study indicated higher tumor affinity and targeting properties of etoposide loaded nanoparticles than free etoposide. 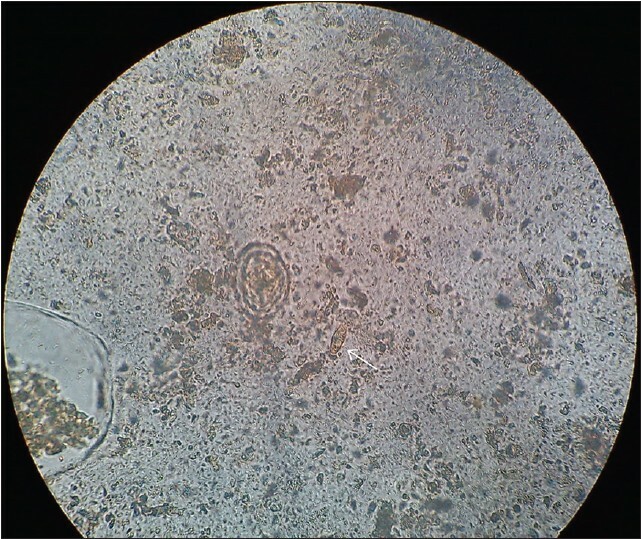 Objective: The objective of current investigation was to study the degradation behavior of Ciprofloxacin and Tinidazole. The study was performed as per International Conference on Harmonization recommended stress condition. 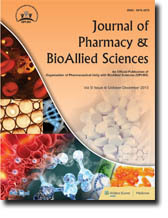 A novel stability-indicating reverse phase HPLC method was developed for the determination of Ciprofloxacin and Tinidazole purity in the presence of its impurities and forced degradation products. This method is also capable to separate placebo peaks as well in pharmaceutical dosage forms. The solid oral dosage form was subjected to the stress conditions such as oxidative, acid, base hydrolysis, heat and photolytic degradation. Materials and Methods: The method was developed using Waters symmetry shield, Reverse Phase (RP) C18, 250mm x 4.6mm, 5΅ as a stationary phase. The mobile phase containing a gradient mixture of solvent A and B. 10mM phosphate buffer, adjusted pH 3.0 with phosphoric acid was used as a buffer. Buffer pH 3.0 was used as solvent A and buffer pH 3.0: Acetonitrile in the ratio of 20: 80 v/v were used as solvent B. 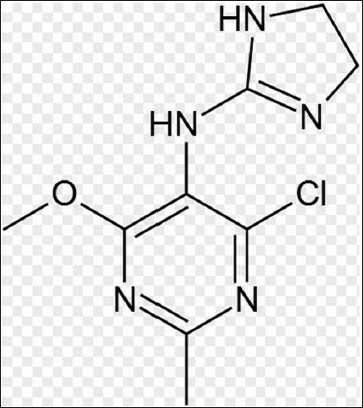 The eluted compounds were monitored 278 nm (Ciprofloxacin), 317 nm (Tinidazole). The run time was 50 minute. Results: In the precision study the % RSD for the result of Ciprofloxacin, Tinidazole and its impurities was below 10%. The method was linear with the correlation coefficient greater than 0.997. The percentage recoveries were calculated and observed from 93.0% to 106.7%.The peak purity of Ciprofloxacin, Tinidazole peak had not shown any flag, thus proved the stability-indicating power of the method. Conclusion: The developed method was validated as per ICH guidelines with respect to specificity, linearity, limit of detection, limit of quantification, accuracy, precision and robustness. Objective: The purpose of the present study was to examine whether Rheum ribes extract prevents cisplatin-induced nephrotoxicity. Materials and Methods: The animals were divided into three groups: Group A considered as control group, group B were treated with cisplatin (3 mg/kg B.W. for 3 alternative days), and group C further to cisplatin received the aqueous extract of Rheum ribes (150 mg/rat). Results: Blood urea nitrogen (BUN) level increased in group B on days 14 and 42 compared to day 0 ( P < 0.001); it was also increased in group B vs. group A on day 14 ( P < 0.001). Rheum ribes extract decreased the serum BUN level on day 14 compared to group B ( P < 0.001). Serum creatinine level in group B had a similar profile as serum BUN level but Rheum ribes had no effect on blood creatinine level. Serum cholesterol level was increased in group B on days 14 and 42 compared to day 0 ( P < 0.001). Also, cholesterol level was significantly increased in group B when compared to group A on day 14 ( P < 0.001). Rheum ribes decreased the blood cholesterol level on day 42 in comparison to group B ( P < 0.001). Serum glucose level was increased in group B on days 14 and 42 vs. day 0 ( P < 0.001). Also, glucose level was significantly increased in group B when compared to group A on day 42 ( P < 0.001). Rheum ribes increased the serum glucose level on days 14 and 42 compared to day 0 ( P < 0.05). Histology of kidneys exposed to cisplatin showed renal injury, but Rheum ribes had no effect on the kidney architecture. Conclusion: Cisplatin-induced nephrotoxicity was confirmed in our study. Although Rheum ribes had some effects on biochemical parameters; its effect on renal histology in injured kidney was insignificant. 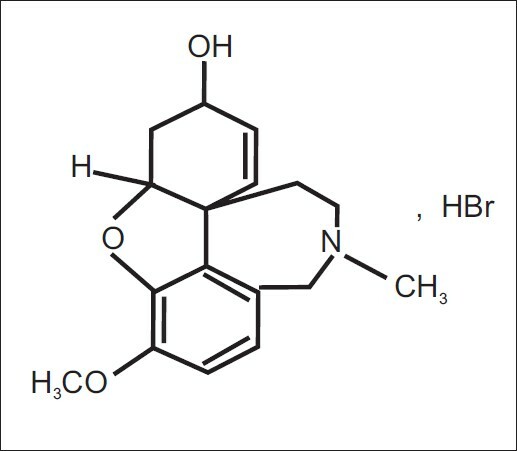 Aim: To develop a simple, accurate, sensitive, rapid and precise method for the determination of galantamine hydrobromide in bulk drug and pharmaceutical dosage form. Material and Methods: The method employs wavelength detection and determination of galantamine hydrobromide at excitation wavelength 282 nm and emission wavelength 607 nm in a solution of simple distilled water. Result and Conclusion: The method was found to be linear in the range of 2-14 μg/ml having r2 = 0.9999. The mean accuracy was found to be 98.12% to 99.67%. The intraday and interday precision was found to be 0.18-0.35% and 0.13-0.46%, respectively. 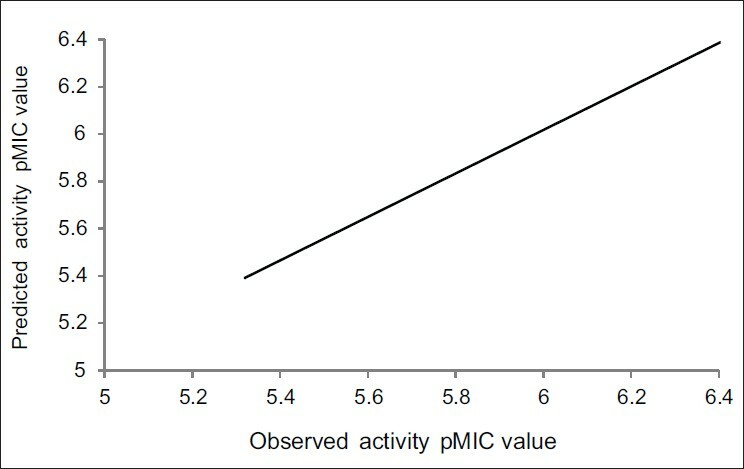 The limit of detection was found to be 0.29 μg/ml. The limit of quantification was found to be 0.89 μg/ml. The method was successfully applied for the determination of galantamine hydrobromide in bulk drug as well as pharmaceutical dosage form. Objective: The aim of the present study was to develop nonionic surfactant based vesicles (niosomes) to improve poor and variable oral bioavailability of cefdinir. Materials and Methods: Cefdinir niosomes were formulated by sonication method using varying concentration of surfactant (span 60), with and without soya lecithin, but the cholesterol ratio was kept constant in all the formulations. The influence of formulation variables such as surfactant concentration, soya lecithin presence or absence were optimized for size and entrapment efficiency. Drug excipient interaction studies were performed using FTIR, indicating compatibility of excipients with drug. Results: The highest entrapment efficiency (74.56%) was observed when span 60, cefdinir, cholesterol and soya lecithin were used in the ratio of 5:1:1:1. The zeta sizer of the niosomal formulations showed the size range between 190 nm-1140 nm. 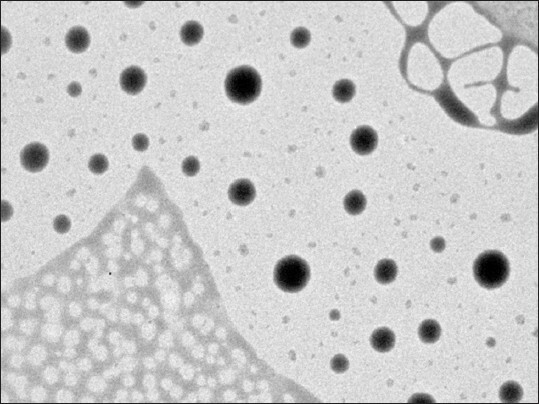 The photomicrography showed round shape of vesicles and further nano size of niosomes was confirmed by scanning and transmission electron microscopy. The optimized niosomal formulations (F11 and F6) exhibited sustained in-vitro release of 94.91% and 94.07% respectively upto 12 h. The ex-vivo permeation studies of optimized formulation revealed that the niosomal dispersion improved cefdinir permeability across goat intestinal membrane as compared to plain drug solution and marketed suspension (Adcef®). Antimicrobial activity studies revealed that the niosomes potentiated bacteriostatic activity of cefdinir as compared to Adcef®. Conclusion: The niosomal formulation could be one of the promising delivery system for cefdinir with improved oral bioavailability and controlled drug release profile.